A SKI RESPORT is a resort developed for skiing, snowboarding, and other winter sports. In Europe a ski resort is a town or village in a ski area – a mountainous area, where there are ski trails and other supporting services such as hotels, restaurants, equipment rentals, and a ski lift system. In North America it is more common for ski areas to exist well away from towns, and the term ski resort is used for a destination resort, often purpose-built and self-contained, where skiing is the main activity. BACKCOUNTRY SKIING (US), also called OFF-PISTE (Europe) or out-of-area, is skiing in the backcountry on unmarked or unpatrolled areas either inside or outside a ski resort's boundaries. This contrasts with alpine skiing which is typically done on groomed trails benefiting from a ski patrol. Unlike ski touring, backcountry skiing can include the use of ski lifts including snowcats and helicopters. Recent improvements in equipment have increased the popularity of the sport. 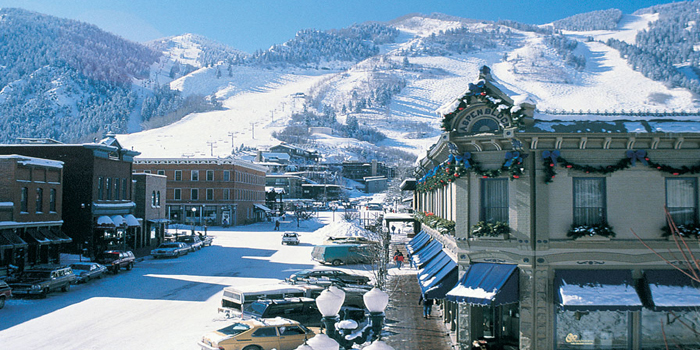 3 Most Luxurious Ski Resorts In North America - Forbes. 5 Most Glamorous Ski Resorts In Europe - The Lux Traveller. 10 amazing ski resorts that hosted the Winter Olympics - The Telegraph. 10 of the best places to go skiing - Readers' choice. The Guardian. 14 reasons to drop everything & go to Val d'Isere - The Telegraph. 16 of the most luxurious ski resorts to visit this winter - Business Insider. 36 Hours in Chamonix, France - "Skiers, climbers, foodies and night-life lovers: This French town at the base of a lofty Alps peak welcomes you at its most magical time, the winter." 36 most important foreign phrases you'll need for your ski holiday - The Telegraph. A day in the life of a ski tester - The Telegraph. A Family Ski Adventure in the Himalayas - "Why can’t we go skiing in Austria, like everybody else? the writer’s wife asked. Instead, they were in Kashmir, where the powder’s thick, the crowds are thin and the territory is, well, disputed." A Slippery Slope - "How Can Ski Resorts Adapt to Global Warming?" Alpine skiing - or downhill skiing, is the sport or recreation of sliding down snow-covered hills on skis with fixed-heel bindings. app that can save avalanche victims - "When people are buried in avalanche, every passing minute can mean the difference between life and death. A new app could help rescuers reach them faster." aprÈs-ski - such activities or events that occur after skiing. Social events or activities that take place after skiing. Backcountry skiing (US) - also called off-piste (Europe) or out-of-area, is skiing in the backcountry on unmarked or unpatrolled areas either inside or outside a ski resort's boundaries. Baqueira Beret, Spain: is this the world's best ski resort? - The Telegraph. Best ski equipment - The Telegraph. Great little ski resorts: Val d’Arly, France - The Guardian. Hit the ski slopes in style: Fendi slaloms into Courchevel - The Telegraph. How ski fitness can help you improve, avoid injury & harness 'sixth sense' - CNN Sport. How ski resorts exaggerate piste lengths - and which really are the biggest - The Telegraph. How to get fit for the ski slopes - "The best gym classes and the exercises to do at home." How to Plan Your First Ski Vacation - The New York Times. How to ski faster - the US special forces way - "American downhillers: A need for speed." How to ski like a Russian oligarch - The Telegraph. In Aspen, a Maverick Mountain to Test One’s Mettle - The New York Times. Inside the Wild West lodge that's now a $22,000-a-night luxury ski retreat - The Telegraph. Is Jackson Hole the world's toughest ski resort? - The Telegraph. KitzbÜhel, Austria ski resort guide - "Skiing's scariest downhill." Les Trois VallÉes: great skiing – but away from the bling crowd - "A new hostel in low-key Les Menuires provides easy access to great ski areas but is more about beanies and live bands than expensive designer gear." Limos, mansions and millennials: how wealth transformed a quiet mountain - "Utah’s Powder Mountain has seen an influx of monied entrepreneurs, but longtime residents fear something special is being lost." Luxury & Boutique Ski Hotels, Resorts & Chalets - Small Luxury Hotels. On a Colorado Ski Trip, Planes, Trains, No Automobiles - "Getting to the slopes without driving was the dream. The Winter Park Express from Denver made it (almost) possible." One Pass to Ski Them All - "Alterra and Vail Resorts are going head to head snapping up resorts. Can they save skiing and make selling lift tickets a viable business?" PistenBully - "Snow Business. We look for the challenge – extreme work on the mountain and in the valley is our passion. With the PistenBully fleet we have the perfect tool for every job." Powder - since 1972. "The Skier's Magazine." PRADA - men's & women's ski googles. Searching for a Secret Ski Destination? Try Michigan - The New York Times. Ski down the roof of this new Swiss hotel - "Until now, skiing off hotel roofs has been an exploit reserved for James Bond stunt doubles and drunken fools with a penchant for plaster casts." Ski Holidays for the True Novice - The New York Times. Ski Resorts & Snow Reports - J2Ski. SKI RESORTS FIGHT CLIMATE CHANGE WITH SNOW GUNS & BUSES - Wired. Ski safety: avalanche survival tips - The Telegraph. ski season's best new Alpine hotels - The Telegraph. Ski Solutions - since 1986. "Britain's original tailor-made ski tour operator and largest specialist ski travel agency." Skiing down the slippery slope of climate change - Centennial Institute. Skiing in Kyrgyzstan: fresh powder, pristine rides & great value - The Guardian. Skiing the Alps, Making It My Own - The New York Times. Snowmaking - the production of snow by forcing water and pressurized air through a "snow gun," also known as a "snow cannon", on ski slopes. Snowmaking is mainly used at ski resorts to supplement natural snow. Taos Had History and Mystique, but Few Skiers. Can a New Owner Change That? - "With a $300 million investment and upgraded amenities, the New Mexico ski area was attempting a revival without losing its soul. A fatal avalanche tested that effort even further." The anti-Val d’IsÈre: the discreet French ski resort for those who just love to ski - The Telegraph. The best (and most terrifying) ski chairlift fails - The Telegraph. The best ski resorts in Eastern Europe - The Telegraph. The coolest ski hotel ever - and it's in Iran - The Telegraph. THE PERFECT SKI GEAR FOR THOSE NASTY WEATHER DAYS - Wired. The ultimate gadgets for snowy adventures - The Telegraph. The ultimate ski holiday packing list - The Telegraph. 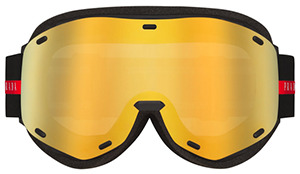 This season's best ski & snowboard kit: everything you need to know - The Telegraph. Where to Ski & Snowboard - since 1996. "Britain's leading winter sports resort guide." For the moment, just the top 200 resorts in the world. 1,000 more coming real soon. Why KitzbÜhel's Hahnenkamm downhill is skiing's wildest race - CNN Sport. World Ski Awards - "Celebrating Excellence in Ski Tourism." World's best ski resorts in 2018 - CNN travel. 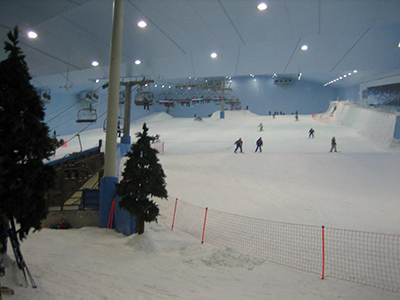 'World's largest indoor ski resort' coming to China - via Dubai - "Wintastar Shanghai is set to become the world's largest indoor ski resort. It will have three slopes, including one of Olympic standard, according to its developer. It's nearly 100 years since the first indoor ski slope was built. Scroll though to discover more." Your 20 favourite ski resorts - The Telegraph. 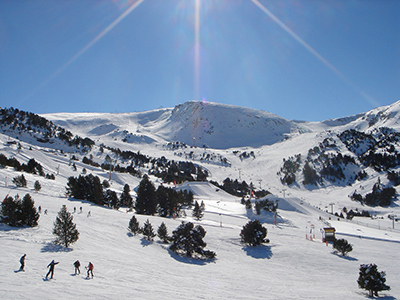 GRANDVALIRA - "Your mountain paradise is in Andorra and its name is Grandvalira, perfect for skiing and snowboarding in the largest resort in the Pyrenees." 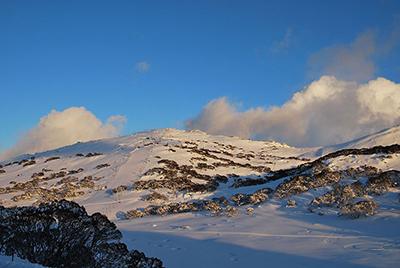 Perisher Ski Resort - "Australia's Largest & Favourite Ski & Snowboard Resort." The largest ski resort in the Southern Hemisphere. Located in the Australian Snowy Mountains, the resort is an amalgamation of four villages (Perisher Valley, Smiggin Holes, Guthega, and Blue Cow) and their associated ski fields, covering approximately 12 square kilometres (5 sq mi), with the base elevation at 1,720 metres (5,640 ft) AHD, and the summit elevation of 2,054 metres (6,739 ft) at the top of Mount Perisher. 4.4 square kilometres (1.7 sq mi) of this area is covered by 240 snow guns. ISCHGL - town in the Paznaun Valley in the Austrian state of Tyrol. Its ski resort Silvretta Arena Ischgl-Samnaun is connected with the ski resort of Samnaun across the border in Switzerland. Together this ski area belongs to the largest skiing resorts in the Alps. KITZBÜHEL - town is situated in the Kitzbühel Alps about 100 kilometres (62 mi) east of the state capital of Innsbruck. It is a ski resort of international renown. Lech am Arlberg - mountain village & an exclusive ski resort in the Bludenz district in the Austrian state of Vorarlberg on the banks of the river Lech. OBERGURGL - "The Diamond of the Alps." Village in the Ötztal Alps in Tyrol. At an elevation of 1,930 m (6,330 ft), Obergurgl is the highest parish in Austria. Obertauern - "We Are Snow." Tourist destination which is located in the Radstädter Tauern in the Salzburger Land of Austria. The winter sports resort is separated in two communities: Tweng & Untertauern. ST. ANTON AM ARLBERG - village & ski resort in the Austrian state of Tyrol. It lies in the Tyrolean Alps, with aerial tramways and chairlifts up to 2,811 m (9,222 ft), yielding a vertical drop of 1,507 m (4,944 ft). ZÜRS - "Alpine Nature Paradise." 305 kilometres of ski slopes & 200 kilometres of high alpine powder runs are waiting to be discovered. Shahdag Mountain Resort - "Miraculous. Magical. Fascinating." Azerbaijan's first and largest winter resort. Across the centuries, the north-east corner of Azerbaijan has served as the gateway between Europe and the Middle East. Here, in the shadow of the majestic Caucasus Mountains, hides untold natural beauty. With a climate favouring year-round sports and leisure, Shahdag ranges from winter lows of -20°C to pleasant summer evenings of 20°C. An incomparable location for one of the world’s largest national parks, and within it, one of the region’s largest ski resorts. Elevation differencere: 1.435-2.100m. BANFF LAKE LOUISE, Alberta - at an elevation of 1,400 m (4,600 ft) to 1,630 m (5,350 ft), Banff is the community with the second highest elevation in Alberta after Lake Louise. MONT TREMBLANT SKI RESORT, QUÉBEC - year-round resort in the Laurentian Mountains of Quebec. It is best known as a ski destination. The summit is at an elevation of 875 metres (2,871 ft), which makes it one of the tallest peaks in the Laurentians. REVELSTOKE MOUNTAIN RESORT, BRITISH COLUMBIA - ski resort on Mount Mackenzie. 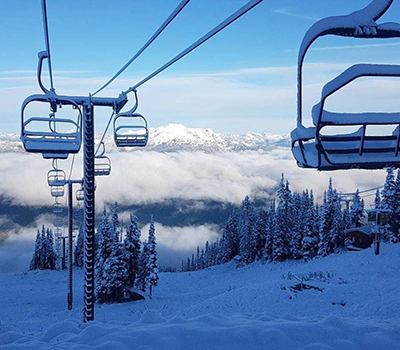 Currently, the resort has a 1713m (5620ft) vertical drop, Revelstoke has the longest vertical descent of any ski resort in North America. WHISTLER, BRITISH COLUMBIA - over two million people visit Whistler annually, primarily for alpine skiing and snowboarding. WHISTLER BLACKCOMB, BRITISH COLUMBIA - "The Ultimate Playgound." Major ski resort located 121 km (75 mi) north of Vancouver. By many measures it is the largest ski resort in North America; it is 50% larger than its nearest competitor in terms of size, has the greatest uphill lift capacity, and until 2009, had the highest vertical skiable distance by a wide margin. 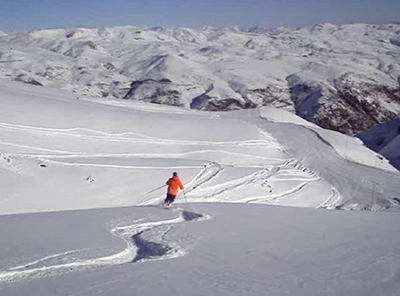 Valle Nevado - "The Best Ski & Snowboard Resort in Chile." Located on the El Plomo foothills in the Andes Mountains, at 46 km to the east of Santiago, the capital of Chile. Founded in 1988 by French entrepreneurs, it includes housing facilities along with around 800 hectares of skiing area. Chamonix - "Immaculate Immensity." One of the oldest ski resorts in France. Commune in the Haute-Savoie département in the Auvergne-Rhône-Alpes region in south-eastern France. It was the site of the first Winter Olympics in 1924. COURCHEVEL - "Emotional Peaks. Just For You." French Alps ski resort. 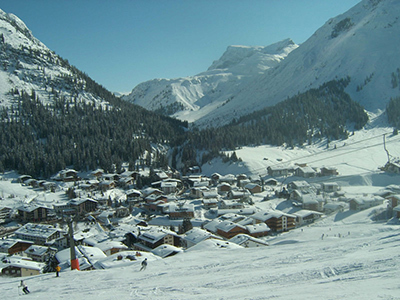 It is a part of Les Trois VallÉes, the largest linked ski areas in the world. Isola 2000 - ski resort in the southern French Alps. It is located on the territory of the commune of Isola, Alpes-Maritimes. It is located next to the Mercantour National Park, and is about 90 km from Nice. The resort has over 120 km of piste, consisting of two main ski areas. There are 7 green runs, 21 blue runs, 11 red runs, and 4 black runs. The resort is considered by ski guides to be well suited for families, beginner and intermediate level skiers. At 2000m, the resort is one of the highest in the Alps. MEGÈVE - commune in the Haute-Savoie department in the Auvergne-Rhône-Alpes region in south-eastern France. The town is well-known due to its popularity as a ski resort near the Mont-Blanc in the French Alps. Conceived in the 1920s as a French alternative to Saint-Moritz by the Rothschilds, it was the first purpose-built resort in the Alps. Originally it was a prime destination for the French aristocracy. It remains one of the most famous and fanciest ski resorts in the world. MÉribel - "Exceed Your Limits." Ski resort in the Tarentaise Valley in the French Alps, situated near the town of Moutiers. VAL D'ISÈRE - "#You Too Make Your Marks." Commune of the Tarentaise Valley, in the Savoie department (Auvergne-Rhône-Alpes region) in southeastern France. Val d'Isère regularly hosts World Cup alpine events, usually for the men in early December. 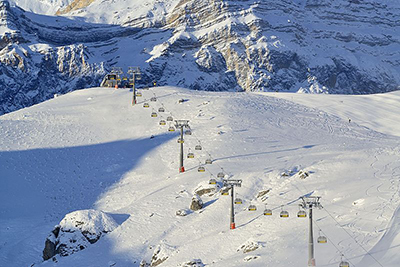 The ski area of Val d'Isère & Tignes forms the Espace Killy, named after the triple olympic champion Jean-Claude Killy who grew up in Val d'Isère. Apussuit Adventure Camp-Maniitsoq - one of the foremost travel destinations of Bill Gates that offers a host of winter sport activities, while providing comfortable and luxurious accommodations. 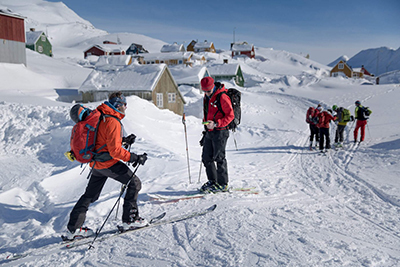 The adventure camp is Greenland’s biggest and only ski sport resort that provides both professional as well as amateur skiers the option of charting the 1,000 meter high Apussuit glacier. Ski touring in Greenland - "An active backcountry experience dominated by silence, grandeur, and first runs from peak to beach." CORTINA D'AMPEZZO - "The Quuen of the Dolomites." own and comune in the heart of the southern (Dolomitic) Alps in the Veneto region of Northern Italy. Situated on the Boite river, in an alpine valley, it is a popular winter sport resort known for its skiing trails, scenery, accommodation, shops and après-ski scene, and for its jet set and aristocratic European crowd. Host to the Alpine Ski World Championships of 2021. MONTEROSA - ski resort, which links three valleys. located largely in the Aosta Valley and the remainder in Piedmont. Much of the area consists of easy and intermediate skiing, but the area around the Passo dei Salati is a major destination for freeride skiers and snow-boarders. Sestriere - comune or municipality of the Province of Turin. The first purpose built resort in Italy built in the 1930s by Giovanni Agnelli. It sits at the heart of one of Europes biggest ski areas known as the Via Lattea (Milky Way) at just over 2000 meters. There are 146 skiable pistes which together total 390km of runs, of which 120 are provided with artificial snow. It’s northwest aspect helps give this resort some excellent snow records. The skiing is mainly on one side of the valley however on the other side there is a gondola link which takes you to the top of Mount Fraiteve from where you get stunning panoramic views. 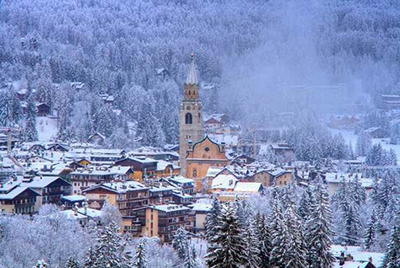 Top 10 Luxury Ski Resorts in Italy - SNO. 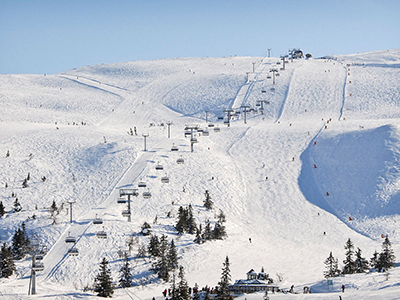 Hafjell - "Visit Hafjell & get 44 kilometers with skiing, 32 slopes from green to black difficulty level." Village and a ski resort in the Øyer municipality in the county of Oppland. Hafjell hosted the alpine skiing technical events (giant slalom and slalom) at the 1994 Winter Olympics; the speed events were held at Kvitfjell, a regular stop on the World Cup tour for men's speed events in March. Hafjell occasionally hosts World Cup slalom and giant slalom races, last in 2006 (women) and 1996 (men's & women's finals). Hemsedal - "The Scandinavian Alps." Municipality in Buskerud county. In the small village of Hemsedal you are greeted by alpine mountain surroundings and some of Norway’s best skiing and fly-fishing. Stable snow conditions and plenty of ski lifts and slopes have made Hemsedal, an alpine ski resort in the mountains halfway between Oslo and Bergen, one of the largest and most popular places for winter holidays in Norway. List of ski areas & resorts in Norway - Wikipedia. SKEIKAMPEN - "Alpine & cross-country skiing." Mountain that is located in central southern Norway in Gausdal. There is an alpine facility at the mountain with 11 ski-lifts and 17 pistes. Trysil - "Alpine Skiing in Trysil." Municipality in Hedmark county. Trysil is Norway's largest ski destination and offers a varied set of alpine opportunities regardless of whether you’re looking for family friendly skiing, wide slopes, terrain parks, or off-piste challenges. Best of all - they have snow guarantee! 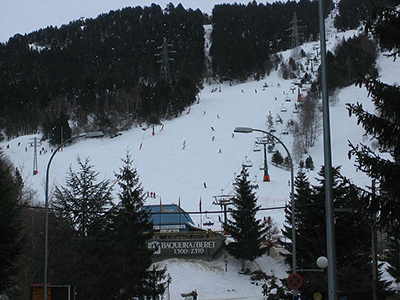 BAQUEIRA-BERET - located in the heart of the Pyrenees, in the Aran Valley, Lleida, Catalonia. The ski area extends from 1,500 to 2,510 metres (4,920 to 8,230 ft) in elevation. Favorite of the Spanish royal family, known aptly as La Pleta de Ley (or ‘the King´s hamlet’). Sierra Nevada Ski Station - "Ski & Mountain Station of Granada." Ski resort in the Sierra Nevada in the province of Granada in southeastern Spain. The ski area is on the northwestern slopes of Veleta, the third highest peak in peninsular Spain and the most southerly ski resort of Europe. ÅRE, JÄMTLAND - ski resort in Jämtland, Sweden, founded 108 years ago in 1909 and owned by skistar. 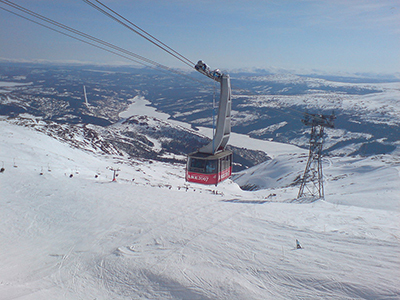 The ski lift system is on the Åreskutan mountain, at an elevation of 1,420 m (4,660 ft); its absolute summit is not lift-served, but is reachable by snowmobile. The village and ski area are accessible by bus and train. CORVIGLIA SKI CLUB - "If you want to see how the other half ski, there's only one resort." St. Moritz. DAVOS KLOSTERS - "Davos Klosters is known in Switzerland as the ski-region where snow never fails to arrive." Are you a peak performer? Then the days on the magical mountains of Davos Klosters will be over all too soon for you. Because you can choose between 5 snow sports resorts here: The Jakobshorn, the Parsenn/Gotschna resort and the two family-friendly mountains Madrisa and Rinerhorn. Furthermore, Schatzalp/Strela offer the first decelerated skiing resort in Europe. In other words: Here, you are simply spoilt for choice - this is guaranteed by around 300 km of guaranteed snow-covered pistes and 57 transport systems. Engelberg - "Engelberg isn’t just a winter ski resort, it’s a winter heaven. It has so much on offer that you might be tempted to extend your stay just to pack it all in." As the largest ski resort in Central Switzerland, Engelberg has plenty of slopes for both experienced and inexperienced skiers and snowboarders, as well as a wide range of off-piste attractions. GSTAAD - "200 kilometres of ski slopes nestled between 1,000 and 3,000 metres above sea level." The holiday region of Gstaad Saanenland is the perfect place for fun-filled skiing experiences on a range of superb slopes. Charming chalet villages adorn the entrances to the various ski areas: Family-friendly ski lifts, kilometres of downhill runs and the only glacier ski area in the Bernese Oberland, where winter sports can be enjoyed from the end of October to the beginning of May. List of ski areas & resorts in Switzerland - Wikipedia. ST. MORITZ - "Powder days." 350 km of piste and countless slopes for freeriders. 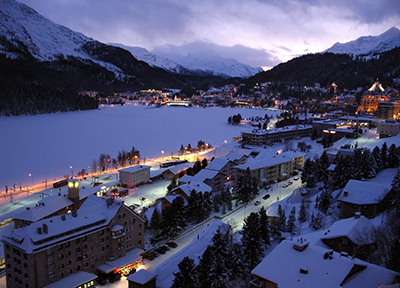 St. Moritz’s local mountain Corviglia and the neighbouring Corvatsch and Diavolezza skiing areas promise a first-class skiing experience. Early birds swear by the "white carpet" on Corviglia, carving their first tracks of the day into the fresh powder snow. To get them there, the Chantarella funicular railway and the Marguns gondola lift begin their steady skyward climb at 7:45 am. In the early morning light, skiers gather at the top of Piz Nair (3,057 m a.s.l.). Before them lies a stunning Alpine panorama, World Cup-quality downhill runs and the Corviglia Snow Park with a variety of obstacles, small ski jumps and a fun slope. VERBIER - "Pure Energy Lives Here." Linked to the 4 Vallées, Verbier and La Tzoumaz form part of Switzerland’s largest ski area with 410km of pistes. With activities such as ski touring, heli-skiing, and off-piste skiing on world-renowned marked routes, the ski area lacks for nothing. But the joys of snow sports aren’t just for skiers and boarders – walking, snowshoe, and cross-country skiing trails also allow you to lose yourself in nature and on your own terms. And for fun, take your family or friends on the longest sledge run in French-speaking Switzerland, in La Tzoumaz. Villars - "In the heart of the Vaud Alps, the Villars, Gryon and Les Diablerets resorts are interlinked, creating an exceptional ski area! The high point of the canton of Vaud, Glacier 3000 completes this skiers’ paradise guaranteeing ideal snow conditions from October to May!" With over 112 km of slopes, spectacular scenery and runs adapted to all abilities, the Villars-Gryon-Diablerets-Glacier 3000 ski area is a must in Switzerland. Beginners can learn to ski in complete confidence in dedicated areas. The kids’ snow gardens in Villars, Gryon and Les Diablerets are great for young skiers. Our ski school instructors teach you all you need to know to truly enjoy this sport on the skis or on the snowboard. There are excellent hotels, very fine dining both on the slopes and in the village, and it's all within easy reach of Geneva airport. ZERMATT - "Skiing & Snowboarding. Adventures in the whitest white." Skiing in Zermatt smashes every record: highest ski resort in Europe, snow certainty, two countries, 365 days a year. Skiing on 360 km of pistes in Switzerland and next door to our Italian neighbours. The ski lifts go to the highest heights. Up to the Klein Matterhorn at 3,883 m, where you can look the four thousand-meter alps and the Matterhorn right in the eye. Pistes carefully groomed for every skill level. And don’t forget the box stops, because famous and cosy mountain restaurants all located right next to the pistes. ASPEN, COLORADO - "The Aspen Mountain Experience." Aspen is in a remote area of the Rocky Mountains' Sawatch Range and Elk Mountains, along the Roaring Fork River at an elevation just below 8,000 feet (2,400 m) above sea level on the Western Slope, 11 miles (18 km) west of the Continental Divide. In the middle 20th century it became the site of recreational downhill skiing. In 1946, the newly formed Aspen Skiing Company, founded by Walter Paepcke, built the first chairlift to the top of the mountain and opened the ski area that bears the name of the mountain. Nowadays, people use a modern gondola, which holds six people, to get to the top of the mountain. Beaver Creek Resort, colorado - major ski resort in the western United States, near Avon, Colorado. 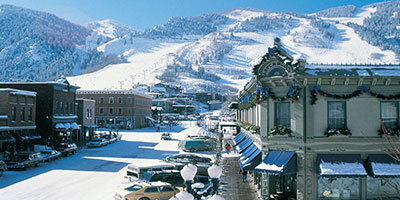 The resort comprises three villages, the main Beaver Creek Village, Bachelor Gulch, and Arrowhead to the west. Beaver Creek is a regular host of World Cup events, usually in early December. Eagle Point Resort, Utah - "Utah Ski Resort." During the winter, Eagle Point Resort offers five lifts with access to over 600 skiable acres and 40 runs ranging from tree-lined groomers to the steepest, most challenging runs in southern Utah. Beyond the slopes, a progressive terrain park, snowshoeing trails and endless backcountry entertain the whole family. Vail Ski Resort, Colorado - "The ultimate Colorado ski resort. Colorado skiing doesn't get any better than here at Vail Resort." Vail Ski Resort's first season was in December 1962 and founded by Pete Seibert; it is the largest ski mountain in Colorado.